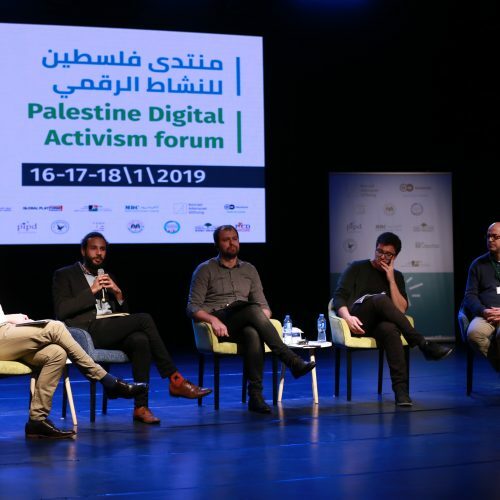 More than 300 specialists,human rights defenders, activists and professionals in the field of digital rights participated in the third Palestine Digital Activism Forum 2019, organized by 7amleh the Arab Center for the Advancement of Social Media in partnership with more than 11 Palestinian academic institutions and civil society organisations. 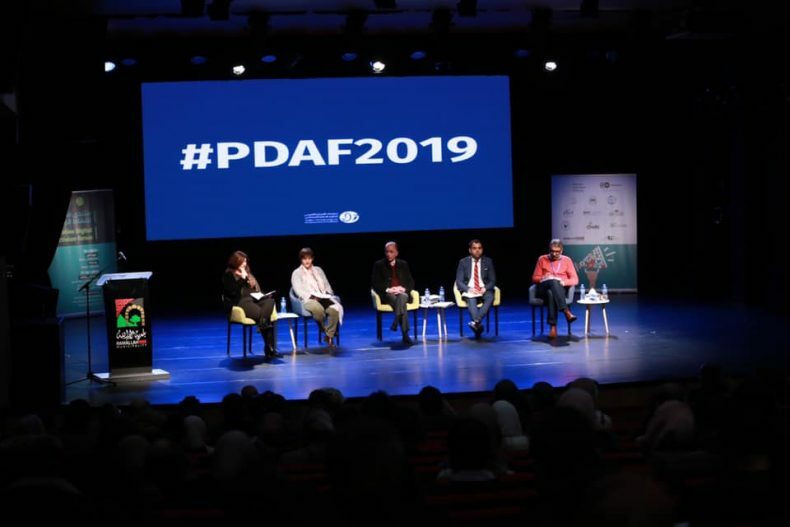 Ramallah – More than 300 specialists,human rights defenders, activists and professionals in the field of digital rights participated in the third Palestine Digital Activism Forum 2019, organized by 7amleh the Arab Center for the Advancement of Social Media in partnership with more than 11 Palestinian academic institutions and civil society organisations. 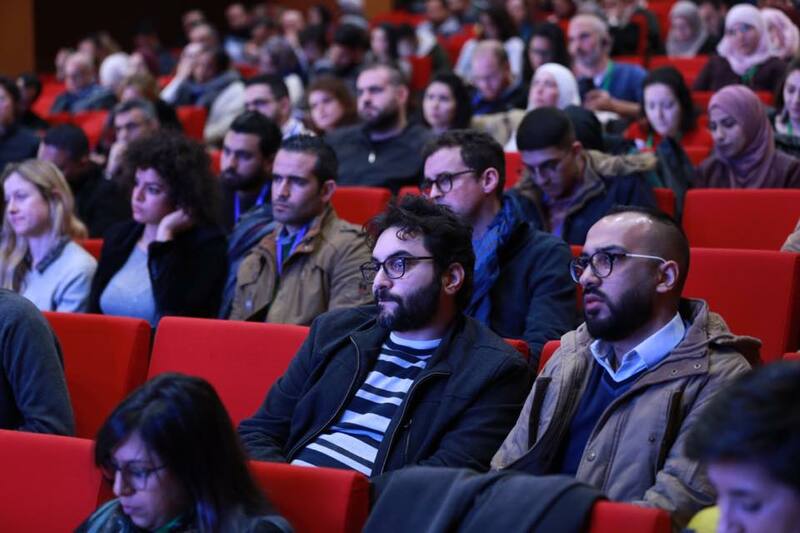 The first day – Wednesday, (Jan 16) of the forum was launched with a conference that was held in Ramallah Municipal Theatre. 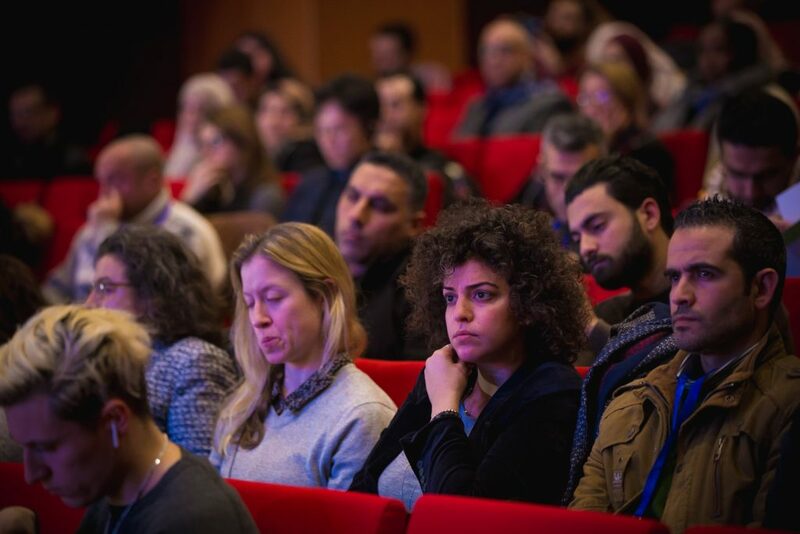 The conference was followed by a series of diverse workshops (Jan 17-18), focusing on a wide variety of topics including digital rights, digital campaigns , digital content, digital storytelling, mobile journalism, gender-based cyber violence, among others. The workshops were and will continue to be held across numerous Palestinian cities in the West Bank and Gaza in addition to Jerusalem, Haifa and Taybeh. 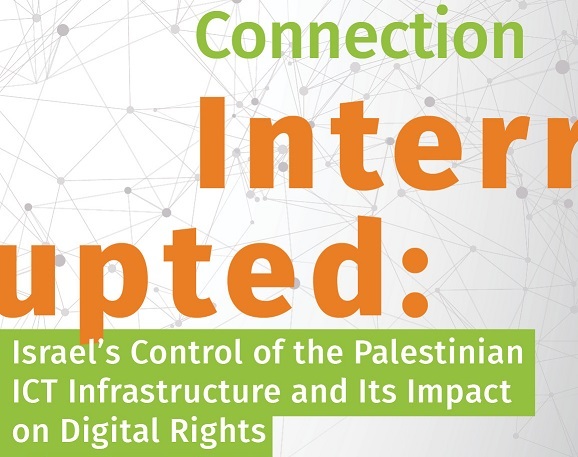 27 local, regional and international speakers presented their work, which focused on the internal challenges of Palestinian digital freedoms and threats of Israeli laws, global trends in defending digital rights and the implications on the Palestinian context. In addition, there were speakers who presented their inspirational experiences of investing in digital tools to drive social change. A number of Palestinian inspiring platforms also had the opportunity to showcase their digital social initiatives. 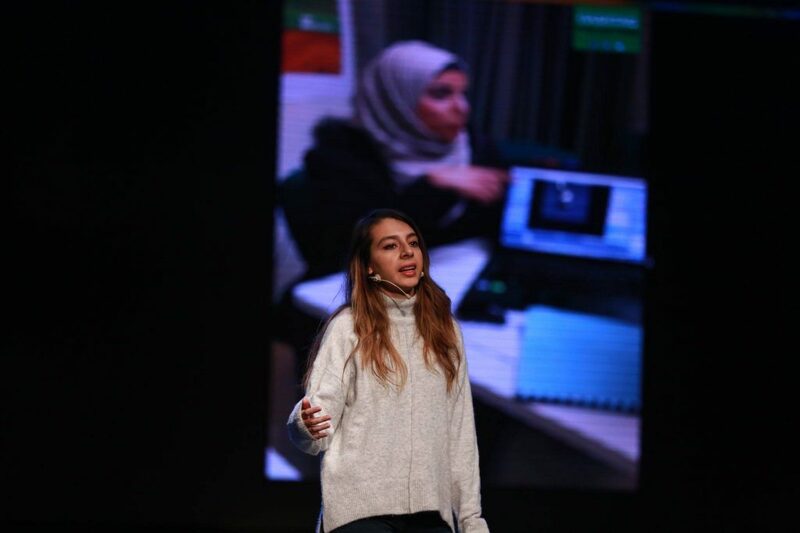 This year, Palestine Digital Activism Forum (PDAF) hosted media consultant Rawan Al-Daman to talk about “How we address the Palestinian issue digitally?” Rawan provided snapshots of her professional experience, specifically in documentary film making that focused on the Palestinian cause. Al-Damen also emphasized the importance of placing Palestine on the digital map. Al-Damen also conducted a workshop in the same context on Thursday (Jan 17) at Khalil Sakakini Center in Ramallah. The audience were inspired by an experience that has become global: Hashtag Our Stories. The co-founders of Hashtag Our Stories, Yusuf & Sumaya Omar, spoke about the revolutionary “selfie videos” they have created around the world. The videos and examples they provided were inspiring and moving. David Kay, Special Rapporteur on the promotion and protection of the right to freedom of opinion and expression kick-started the forum by presenting a recorded speech on digital freedoms and how they are being compromised in Palestine. A group of speakers representing international and local organizations such as Human Rights Watch, Amnesty International, International Privacy, Digital Freedom Fund, Addameer, Palestinian General Attorney Office and BuildPalestine presented their extensive experience of working in the field. The discussions mainly focused on the internal challenges facing digital freedoms in Palestine, such as arrests due to online posts in Gaza and the West Bank, as well as the threats of Israeli laws and legislations and the legal basis for arrests against the backdrop of Palestinian digital activity. Director of Addameer, Sahar Francis spoke out against the large number of arrests of Palestinian activists, young people and journalists for simply expressing their opinion on the Internet, who are often charged for criticising “personas of supreme status”. A stark example that was mentioned during the conference was the case of the journalist Jihad Barakat, who was arrested and convicted for simply documenting the Palestinian prime minister’s motorcade at an Israeli checkpoint. Mr. Omar Shaker, Director of Human Rights Watch in Palestine, spoke about the arrests on the basis of publishing on the internet and especially social media networks. His talk included detailed accounts of the arrests carried out by the Palestinian Authority in the West Bank, Hamas government in Gaza, and the Israeli government. Mr. Shaker brought up several cases such as the journalist Amer Balousha in Gaza, Hamza Zbaidat in the West Bank, and Dareen Tatour in Israel. During the second session of the forum, speakers presented their international experiences in defending their digital rights. The Legal Advisor of Digital Freedom Fund gave a presentation entitled “The European System for the Protection of Public Data (GDPR) and its Global Impact on Digital Rights”, and Mr. Saleh Hijazi of Amnesty International gave a snapshot of Amnesty International’s struggle to ensure the protection of digital rights and combating cyber surveillance. Mr. Edin Omanovic discussed the most emerging threats to privacy and the current international trends to protect them. Lastly, Mr. Derrar Ghanem discussed the importance of online crowd-funding, reviewed the mechanisms of mobilizing funds from global audience, and the challenges facing crowd-funding in Palestine. 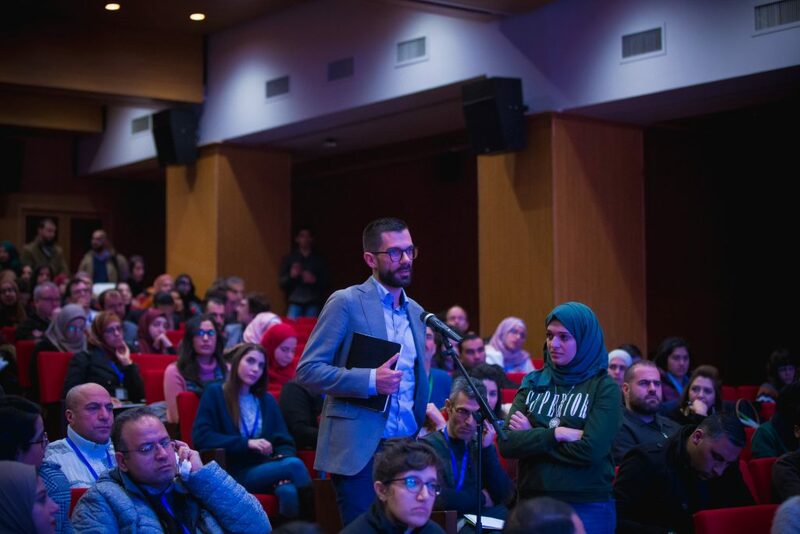 The third session of the forum highlighted community-based youth initiatives that have invested in digital tools to drive social change such as the Wikipedia ‘D’ initiative, Khazaen, events.ps, ‘We Were and Still Are’ initiative, and BirHakaya. Moreover, the forum showcased other inspirational digital initiatives throughout the forum, including “Know Your Rights Gateway” developed by Jerusalem Legal Aid Center, Grassroots Jerusalem, Muntada – The Arab Forum for Sexuality, Education and Health, the Digital Safety Clinic and the BuildPalestine. The organizer of the forum is 7amleh – The Arab Center for the Advancement of Social Media, which is a non-profit organization based in Haifa that seeks to empower the Palestinian Arab civil society through digital advocacy, by providing them professional capacity-building, defending digital rights and building influential media campaigns.The forum, which 7amleh seeks to organize annually, aims to protect Palestinian digital rights by providing a platform to discuss the challenges facing civil society and digital activists working on the issue worldwide, providing space for exchanging experiences, developing digital work in Palestine, and finding solutions to the internal and external challenges and threats. 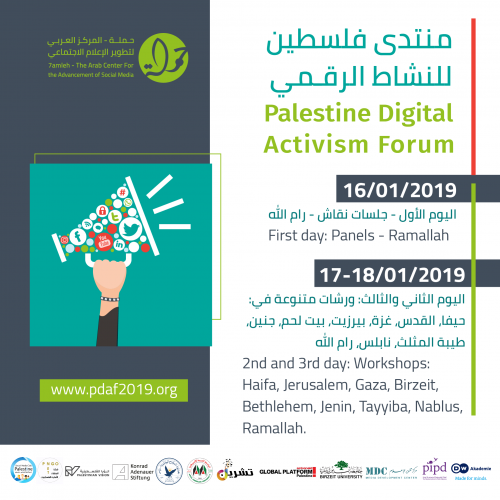 This edition of the Palestine Digital Activism Forum is held in partnership with the Deutsche Welle Akademie, Konrad Adenauer, Media Development Center at Birzeit University, Tishreen Association in Taybeh, the Arab American University in Jenin, An-Najah National University in Nablus, the NGO Network, Palestine Institute for Public Diplomacy, the Social Media Club in Gaza, Badil Center, the Global Platform in Bethlehem, and the Palestinian Vision organization in Jerusalem.